If you wanted to pick a good presidential campaign upon which to launch a political web site devoted to truth, justice, and the American Way – and those are my words, not theirs – this would be the one. You’ve got a man running as the candidate of one party who was in Vietnamese prisoner of war camps for five years, plus the first woman and African-American man to ever challenge for a major party’s nomination – and one of them will win it, one of these days. And before we reached this point, there were so many candidates on both sides that we needed scorecards to keep track. If you haven’t visited it before, take a minute and surf over to www.PolitiFact.com while you listen to this podcast. 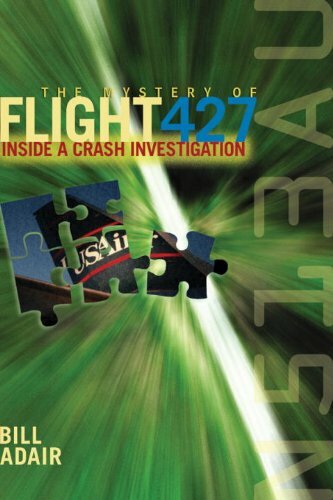 Order ‘The Mystery of Flight 427: Inside a Crash Investigation’ by Bill Adair, available from Amazon.com by clicking on the book cover above! The site is an online extension of the St. Petersburg Times daily newspaper and Congressional Quarterly and it is just what an election of this magnitude and complexity needs: a lie detector!